Way back in May, my friend Sara, always on the look out for new livestock ;) called to say that our neighbour was selling her goat. I jumped at the chance, she is a mostly alpine goat and related to Sara's goat Josie who I love. So Faith arrived and we love her or at least I love her (Erich, not so much, after the apple tree incident). 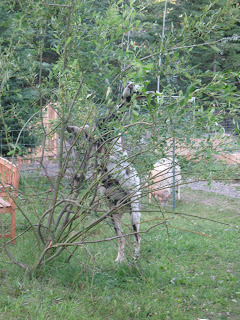 She is very beautiful but intensely curious, as goats are known to be. She has a very funny relationship with my ram...she likes to lick his horns and prefers to eat through the fence out of his pen. 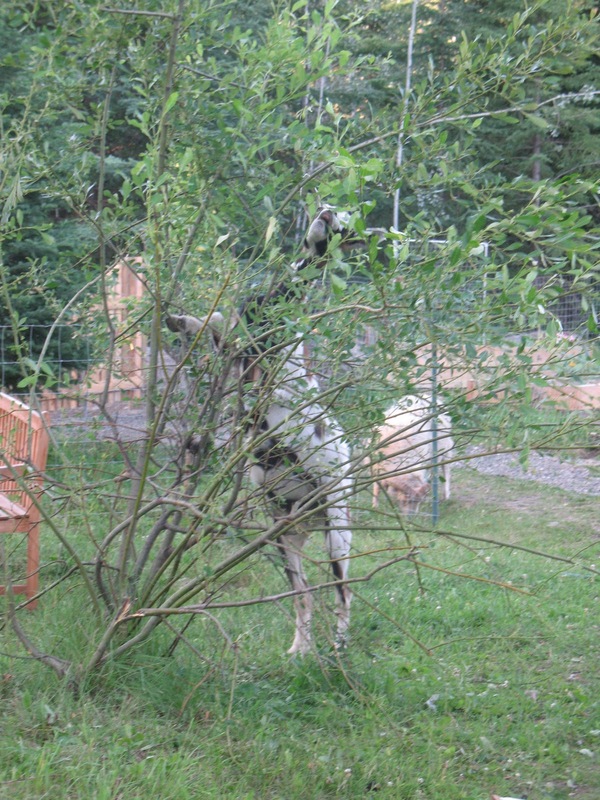 Unfortunately she is also overly fond of apple trees, snapping two of our three trees in her efforts to reach the top, kind of like this (this should have given me a clue that the apple trees were next but live and learn I guess). 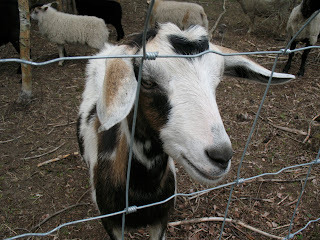 I am hoping to breed her in November for spring kids and rich, goat milk! 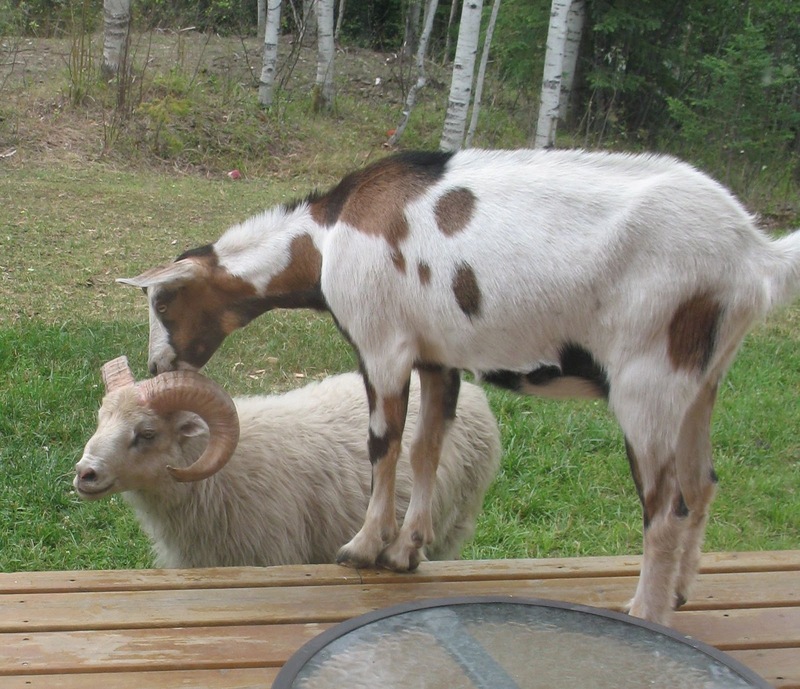 I think I will mostly be making it into cheese because no one in our family drinks goat milk.